The Florida Museum of Natural History is accepting applications for a K-12 Education & Outreach Coordinator. The successful candidate will coordinate all of the K-12 education and outreach activities for the Scientist in Every Florida School “Moonshot” project funded through the UF Thompson Earth Systems Institute at the Florida Museum of Natural History, also in collaboration with UF’s College of Education. The science content of this role will focus on earth systems science (air-water-land-life), and will serve elementary, middle, and high-school grades throughout Florida. External activities include coordination of classroom visits by UF scientists, e-learning meetings and talks, teacher professional development, and development of an on-line Moonshot network of participants and stakeholders. This is a three-year, fixed term appointment, with annual renewal contingent upon satisfactory performance. Detailed job posting and link to apply here. 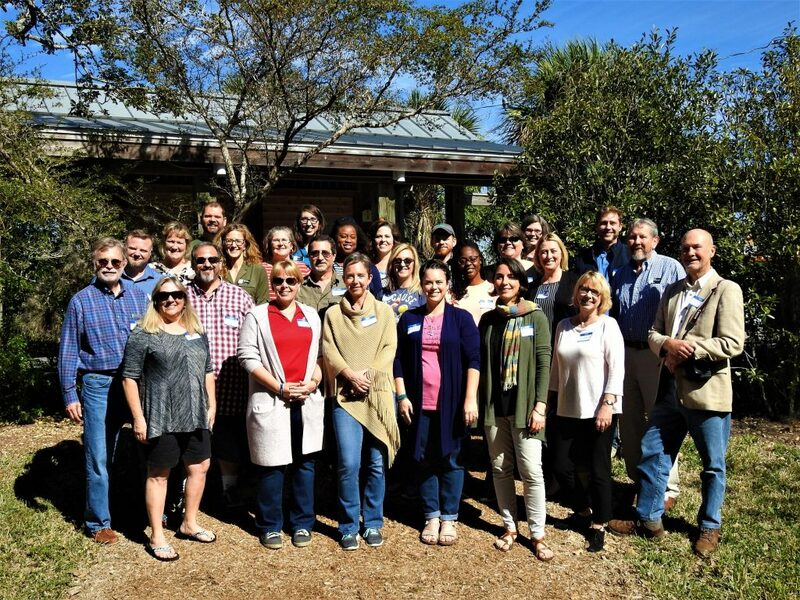 Participants of the Scientist in Every Florida School Kickoff Event in January 2019.